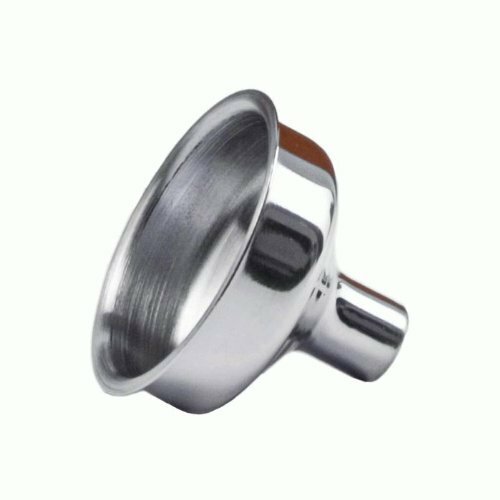 This compact mini hip flask fits discreetly on your key chain and holds 2ozs (one large shot) of your favorite booze. The unique print on this custom flask features many colorful round objects through the design to add color to the black background. 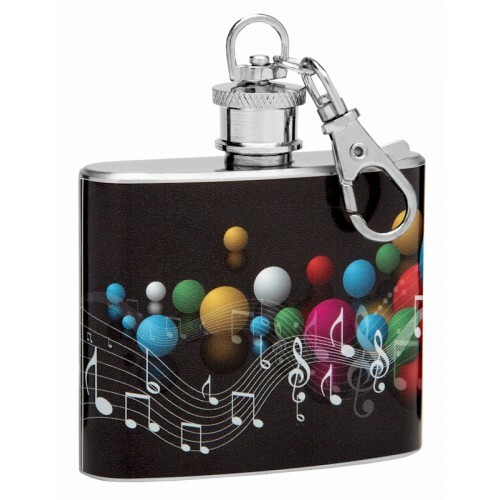 Through the center front of the flask is a line of musical notes printed in white ink. 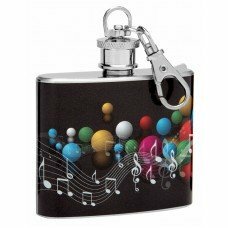 This is a basic and simple flask designed with the music lover in mind. 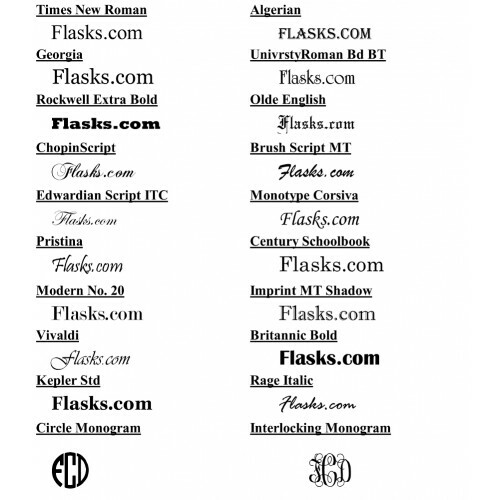 This flask can be customized and personalized with text if you want.